I recently flew to Hainan for a short vacation. Together with the Hainan Tourism Board I spent 3 days in Hainan, exploring this unique Chinese island. Surprisingly, I had won a trip earlier that week that allowed me to discover this tropical island. Hainan has been on my ‘China bucket-list’ for a while so I couldn’t be more excited to have won this prize. 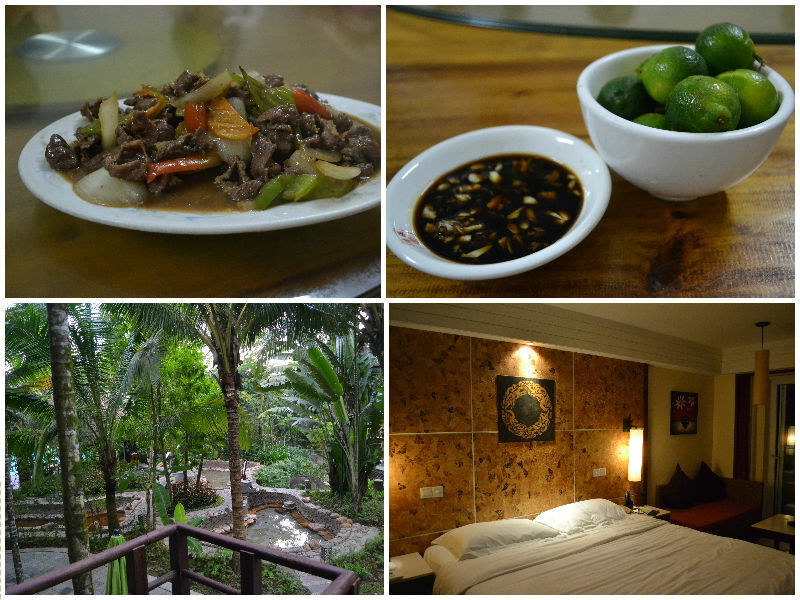 Today, I will share some of the best photos of my days in Hainan. 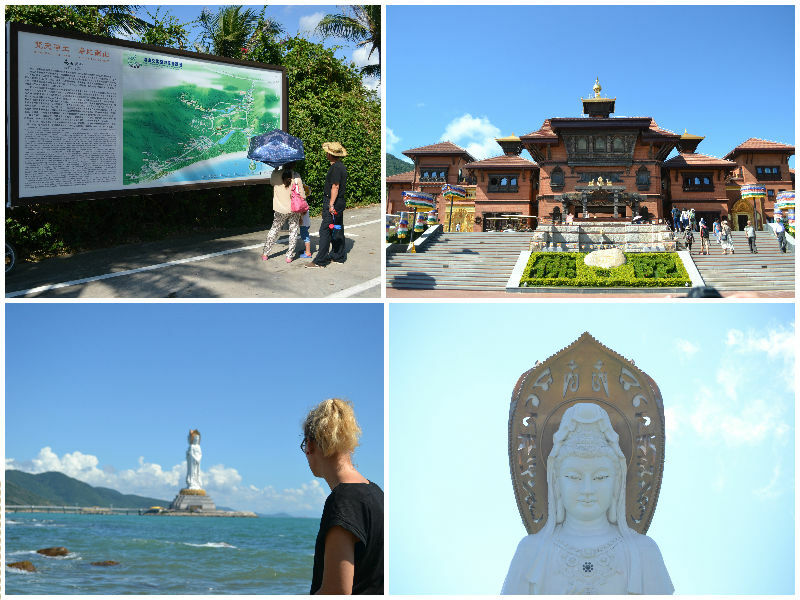 Hainan is a place less traveled by western tourists. It is a popular travel destination for Chinese tourists and it used to be a popular place for Russians to spend their vacation. The last group though hasn’t been visiting that often anymore since the Russian economy collapsed. This makes Hainan a great place to visit and enjoy the island life, because it is accustomed to foreign and local travelers. What a lot of people who visit China don’t know is that China has more to offer than deserts, grasslands, cities, mountains and rice paddies. 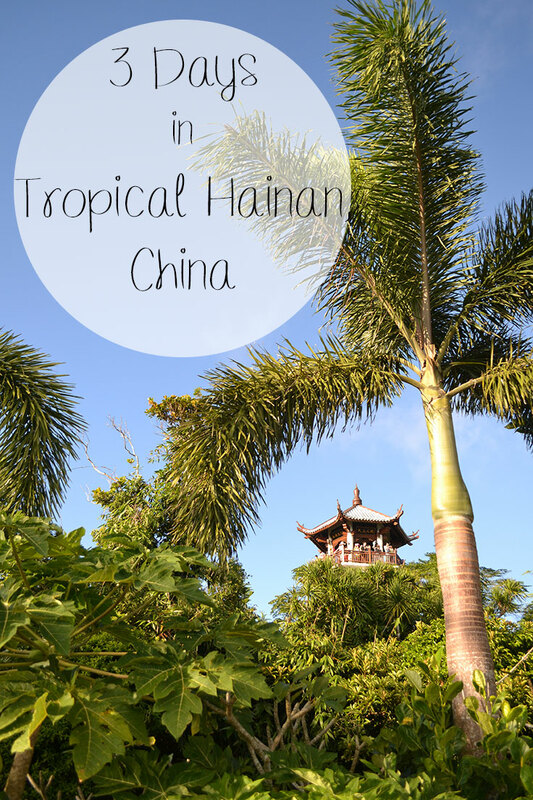 Hopefully this story and my upcoming stories about Hainan will inspire you to visit China and this tropical island. In the northern part of the island, not far from the capital Haikou, you can visit a Mangrove Forest. 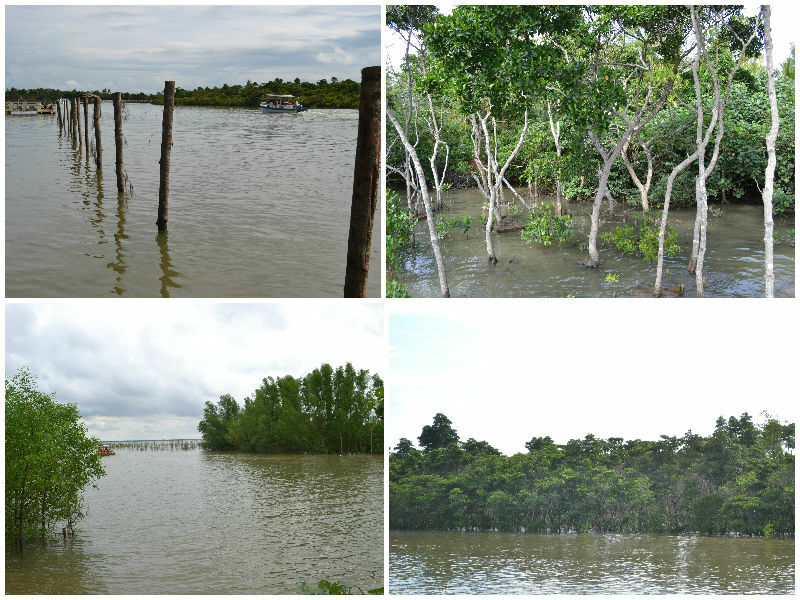 There are two ways to explore the mangrove forest; by boat or by foot. Both will give you a great experience, but if you would like to have a view over the forest, I’d recommend to go by foot. I was told that there once used to be a city in this area, but that it was taken over by the forest after a volcanic eruption. Now the city lies under the roots of the trees. What I personally really liked about the Mangrove Forest is the fact that the local government is mainly putting effort into maintaining the environment (both flora & fauna) rather than trying to attract tourists. I really like this ‘green tourism’ style! After our visit to the Mangrove Forest it was time for our lunch. We (I traveled with another winner & guides) had lunch with a local family. The family cooked a variety of dishes; some typical Hainanese dishes and some more common Chinese ones. The lunch was amazing and the food delicious. One of the dishes prepared was this fish (right top corner), of which I could barely take a photo as everyone was pretty much attacking it. After lunch we continued our day and went to Qilou Old Street. A street with European style buildings, built when the Europeans came to China for trade and settled down in Hainan. Qilou Old Street is a lively street with a variety of shops, restaurant and cute little cafes. At the ‘Coconut House’ I took part in a workshop and made a delicious local dessert (more about that later). After the workshop I tried a few more desserts. On the photo you see what looks like sushi, but it is fresh papaya and mango rolled in a coconut-flavored wrap. These were simply to die for! More on these and the other desert I ate at the ‘Coconut House’ later. The beach! On day 2 we started the day with a train ride from Haikou to Lingshui, from which we took a car to Boundary Island. The last leg of the trip had to be done by boat. Boundary Island is a great place with a nice beach and very clear, blue water. After a tour over the island it was time for some action. We all went out on a little boat to go parasailing! Something I’d never done before, so I was super excited (and a little scared). Once I got up in the air, I got even more excited as I was enjoying a magnificent view over the water and the island. It felt great too, to be flying in the air, feeling free. After enjoying some time on the beach we continued our way towards the Yanoda Rain Forest Cultural Tourism Zone. This is an enormous rain forest on top of and around a mountain from where you have amazing views of the island. Besides the views you can also spot some wild life if you get lucky (only wildlife I got to see were huge spiders). One of the better sides of the park is the fact you can go zip-lining there. I got the chance to try it out and it was great fun. I really enjoyed flying over the rain forest, with green trees everywhere I looked. We ended the day with dinner at a local restaurant. The food was good and tasty, but was made extra special because of a typical Hainanese sauce. The sauce is made of soy sauce, garlic, peppers and a calamansi, which you could compare to a lime. The calamansi gives the sauce a freshness and brings out the flavors of the dish you are eating. For me this was a new thing, but I really enjoyed it! After dinner I ended up in paradise! The hotel (Narada Resort & Spa Qixian Mount) I was staying at is situated in the middle of the rain forest and is beautiful. A great room with a little balcony and steps that lead down to the hot springs. It was lovely to relax in the hot springs after a long day. Nanshan Temple is situates about 40 kilometers away from Sanya and is incredibly large. 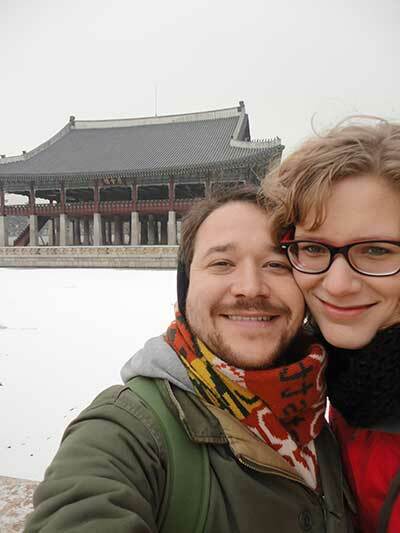 If you want to enjoy all the different temples and sites, make sure to plan an entire day for your visit. The statue of Kwan-yin is especially worth a visit: she’s a mere 180 meters tall and has 3 faces, which will allow her to keep a good eye on her surroundings. For the best view you should head over to the little beach that lies on the shore facing the statue. We ended our final day in Hainan at the Yalong Bay Tropical Paradise Forest Park where I once again got to enjoy some amazing views over several bays. The park was once used to shoot a Chinese movie and ever since the movie came out the park became popular with wedding couples to have their wedding photos taken. We ended our day and the trip at a night market (barbecue) in Haikou. One of the things I miss here in Beijing are the night markets so you can imagine how happy I was to go here and enjoy some street food. It was a great ending of a great trip; chatting with new friends, sipping on a cold beer and enjoying fresh oysters, shrimp & fried ice. Make sure to follow TripBitten if you want to read more about the food I ate and where I ate it, as that will be one of our following articles. During my trip I started to fall in love with Hainan. The variety of the island, the delicious food, an abundance of fresh fruit and friendly people. Partly because Hainan is a tropical island, the atmosphere is very different from Beijing. To me it felt more like south east Asia, a little bit like Thailand or Malaysia. 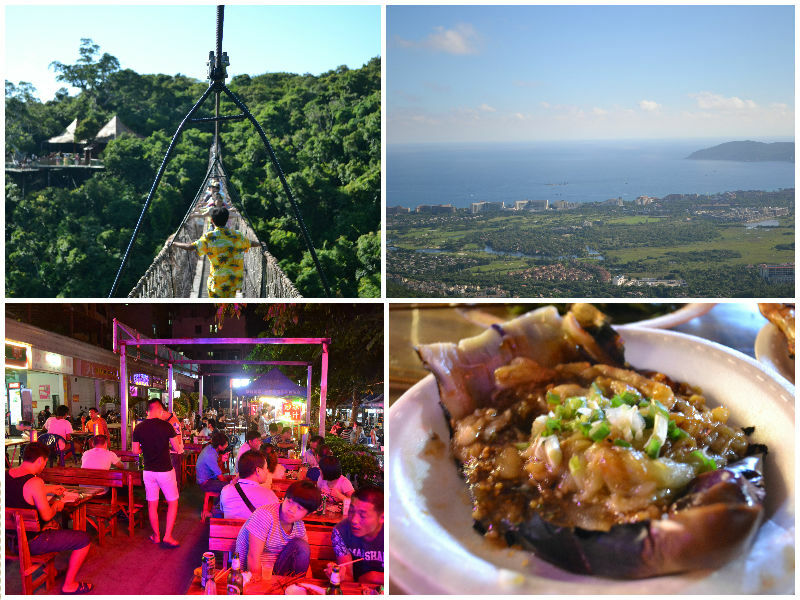 To me it’s clear; Hainan is a great destination if you’re looking for beaches, rain forest and great food. 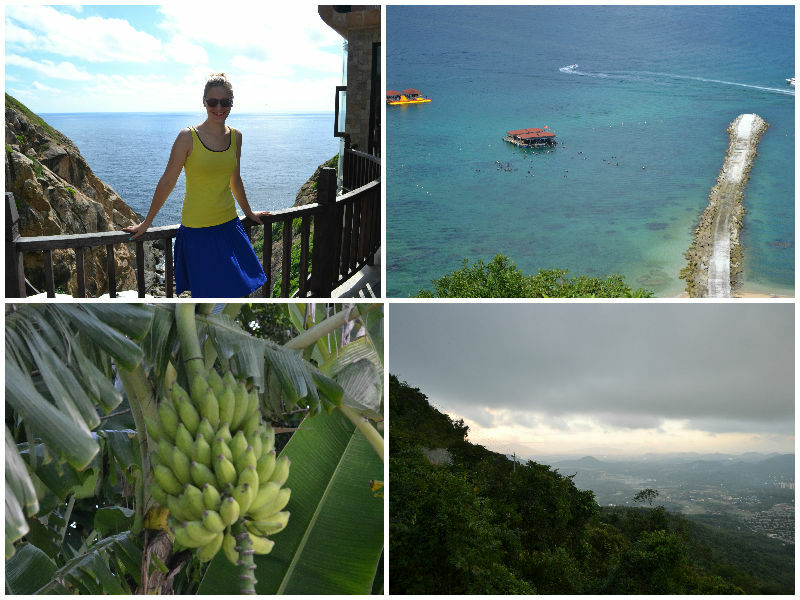 Also clear is the fact that 3 days in Hainan really aren’t enough as the island has so much to offer! Would you consider a vacation for 3 days in Hainan? I was invited by the Hainan Tourism Board to go to Hainan. This looks blissful. I might have to add it to my bucket list. And the food… yum! The food there is really good! 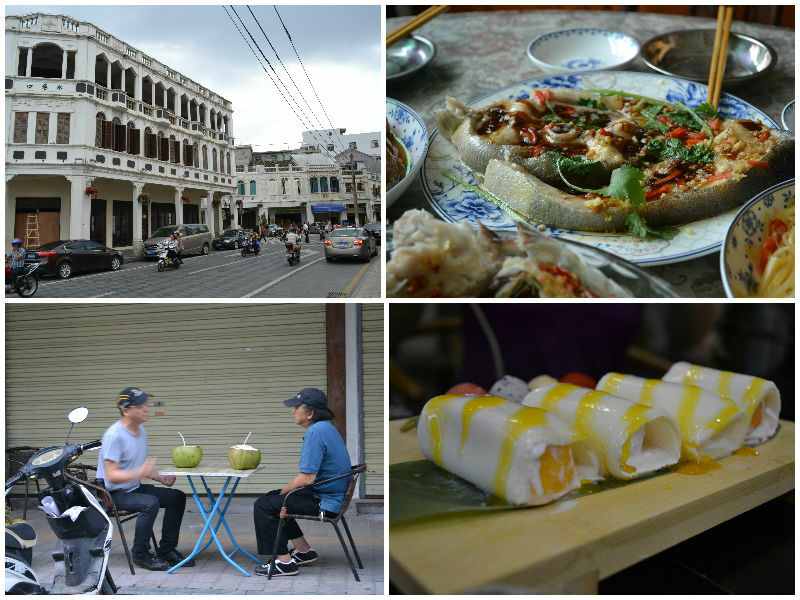 If you like food, stay tuned for an article solemnly about the food in Hainan. the food and that hotel look incredible! This looks like such an amazing place! Will definitely have to check up on it for our trips next year. You should! Hainan would be a great place to end your China-trip. I have added Hainan to my Bucket List after reading your write up about it. I love the idea of a coconut and mango sushi roll. That sounds delicious. I find it encouraging that the local authority if planting Mangrove too, which will help with fish breeding and also protect the coastline. The idea of protecting the mangrove is great isn’t it? I especially like it because it is a new direction China is going. Usually the environment isn’t too important too people here. Wow, this is so different to many of the images of China I had in my head! An absolute tropical paradise with some interesting architecture and history. Would love to visit, thanks for sharing. I’d never heard of this island before, so thanks for enlightening me! It looks gorgeous!